This is the 8th post in the February Photo Collage Festival and the Family History Writing Challenge. Today I am going to write about the youngest child of Hugh and Blanche Celeste, Thomas Perry Averette. Thomas Perry was born in 1915 in Indianapolis, Indiana. Sometime before 1928 he moved with the rest of his family to a new name and a new life in Los Angeles, California. 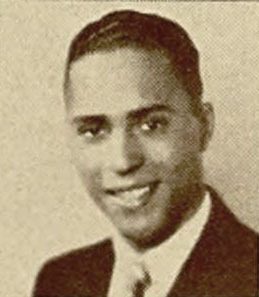 He graduated from Belmont High School in 1933 and then completed two years of college. By 1936 he was 21 years old, had registered to vote but declined to give a party affiliation. He was working as an auto mechanic. A field he continued in through the years, although in 1940 his occupation was listed as an Air Hammer Operator for a Deep Well Pump Manufacturer. Sometime after 1940, Thomas married Geneva Lucile Adams. Their son Thomas Hugh was born in 1943. Pierre Antone was born in 1946. In 1947 he applied for a patent on a Trailer Dolly and Steering Arm. I was surprised today when I googled Thomas Perry Averette to find that he had applied for several patents. From 1947 to 1971 he took out at least five. To see other drawings or download more information on these inventions, click on the links. Sheepfoot roller used for compacting in road construction. 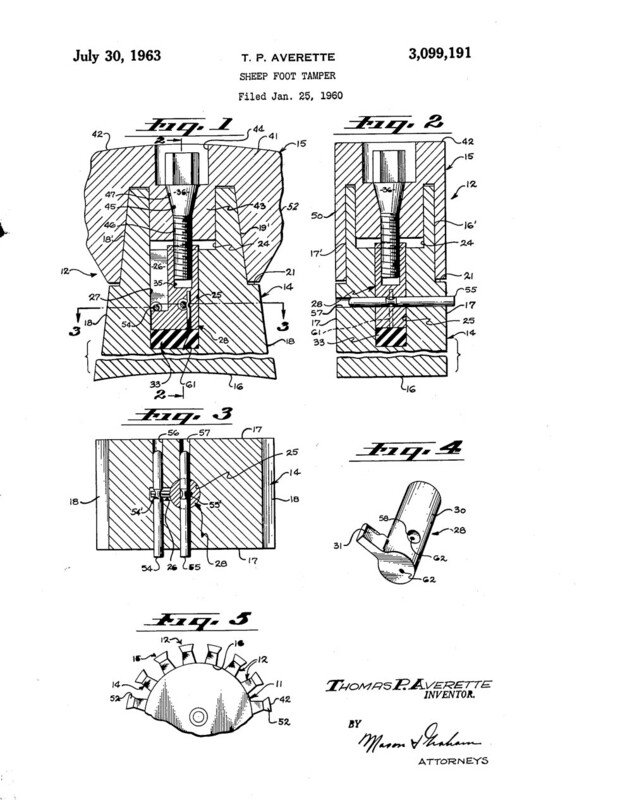 In 1951 he filed for the first of three patents on the Sheep Foot Tamper. He filed on two more in 1963 and 1967. I thought this was strange because as far as I knew, he never had any dealings with sheep. A little more investigation showed that there was no connection to farming. 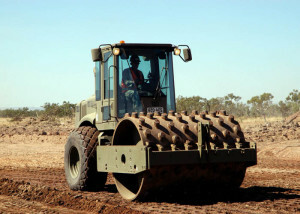 My husband told me he was familiar with that technology and had seen it applied with the sheepfoot roller used in road construction when he worked for the Michigan Department of Transportation. 15400 Lemac Street, Los Angeles. 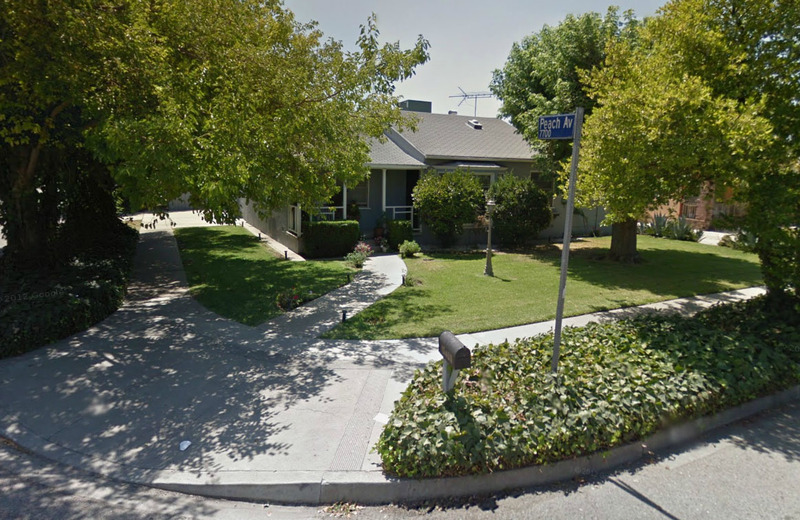 The house Thomas lived in while doing some of his inventing. Thanks to Google Maps. In 1971 Thomas filed for a patent for Lifts for Peddles of Musical Instruments which would attach to a piano peddle and raise it to the height comfortable for a child to use. I was able to verify that the inventor Thomas Perry Averette was the same as my Thomas by comparing addresses in the directories to the one on the patent. Over the years Thomas consistently registered to vote. At first he declined to state his party preference but in 1948 and 1950 both he and his wife, Geneva, registered as Democrats. In 1952, perhaps because of Eisenhower, he switched to Republican. In 1958, when he was back to registering as a Democrat. Thomas Perry Averette died in 1986 in San Bernadino County, California. His son Pierre died in 1990, his wife Geneva in 1993 and his oldest son Thomas, died in 1996. You can see some photographs of Thomas Perry (Reed) Averette in this post: Theresa Pearl’s Birthday. Front: My uncles Henry and Hugh Cleage. 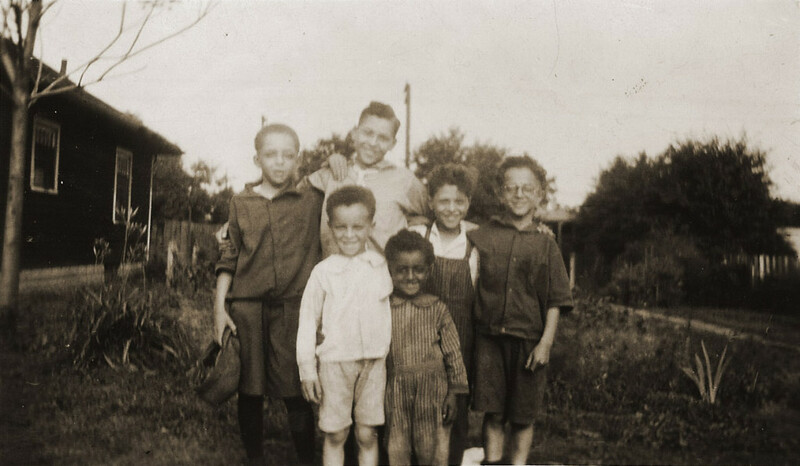 Back: My father Albert Cleage, Hugh Averette, Thomas P. Averette and my uncle Louis Cleage. At the Averette (then Reed) house in Indianapolis, Indiana. Don’t you just love Google! I know you must have been grinning from ear to ear when you found the information regarding his patents. Awesome find! Yep. This was a good week. Patents! That is so cool. I have several myself. Eric, I just googled your patents. So interesting to find inventors in the family. Oh, and you need to add a Reed to the title for Thomas’ page. Everyone else has one. I don’t think there are any patents in my family, but you’ve reminded me I should go and look. I found a couple other ones when I went looking. So far there are 4 people in the family tree with patents. Add another one to our tree with Patents. OMG, Nature vs. Nurture…. Nice to finally meet my family….Hugh Marion was my Great-Grandfather, my Grandmother Teresa Averette & Father Bennett Shaffer. Nice to meet you too, Bennett. I had finally figured out how you fit into the total picture. I went and looked at your patent too. One day I am going to have to do a post about all the patents in the family. Meeting new cousins is one of my favorite things.